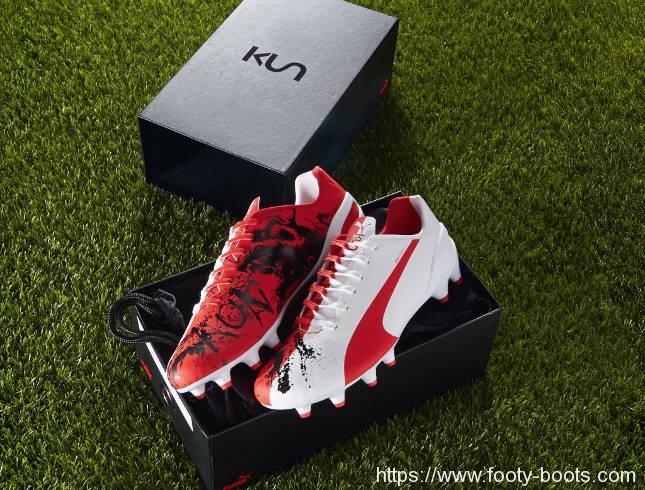 After signature football boots for Mario Balotelli, Marco Reus and Cesc Fabregas, PUMA are finishing up their range of player-inspired ‘Tricks’ with the PUMA evoSPEED 1.3 – Sergio Aguero Tricks. Design with heavy input from the Argentina and Manchester City star himself, the PUMA evoSPEED 1.3 – Sergio Aguero Tricks bring together elements dear to the man himself, to inspire him on the pitch. Whilst Red and White not be the first colours you would associate with Aguero when it comes to club and country, there is a very good reason for the choice. 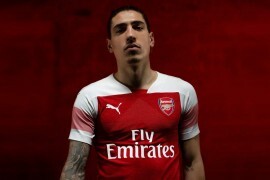 Sergio specifically asked for the colours of his first team, Independiente, who he played for since he was nine and became their youngest ever player at the age of 15. It’s just a coincidence that these colours are also shared by Arsenal, who ‘Kun’ will wear these football boots against on January 18th. Other elements requested be in the design are a dog – Sergio Aguero’s favourite animal, and Kun – his nickname. A nice touch is the embossed – practically invisible to the naked eye – wording above the formstripe on the white side of the boot. As with all of PUMA’s signature Tricks, the PUMA evoSPEED 1.3 – Sergio Aguero Tricks will only be worn by Kun for only one game, and will be a limited edition release. 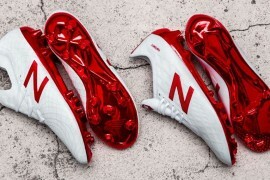 Only 400 of these football boots will be made and released to the public. So, if you want a pair, you’ll have to be as fast as Sergio himself.